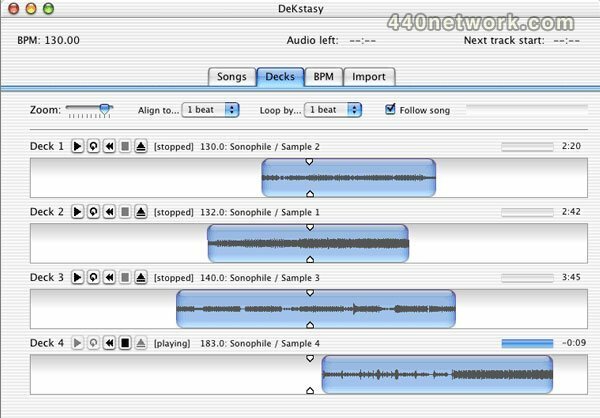 DeKstasy is for all levels of DJs, but specifically targeted at pros and amateurs performing live. Don't be fooled by the fact that this is free software. This product was conceived and created primarily for live performances. 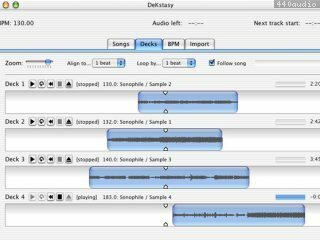 Using your existing mixer and output hardware (or the standard onboard Macintosh output), the software replaces the functionality of your turntables and records with a slick interface and MP3 or AAC files.